People suffering from a form of incurable blindness could soon become the first patients in the world to benefit from a new and controversial transplant operation using stem cells derived from spare human embryos left over from IVF treatment. Scientists working for an American biotechnology company yesterday applied for a licence to carry out a clinical trial on patients in the US suffering from a type of macular degeneration, which causes gradual loss of vision. They expect the transplant operations to begin early in the new year. The development is highly controversial because many “pro-life” groups are opposed to using human embryos in any kind of medical research but scientists believe that the benefits could revolutionise the treatment of many incurable disorders ranging from Parkinson’s to heart disease. The company has applied for a licence from the US Food and Drug Administration (FDA) and is confident of its application being granted. “We’ve seen absolutely no adverse effects whatsoever in any of the preclinical experiments and our cells are more than 99.9 per cent pure,” said Dr Robert Lanza, the chief scientific officer of Advanced Cell Technology (ACT) in Worcester, Massachusetts. Stem cells derived from human embryos that are only a few days old have the ability to develop into any of the scores of specialised tissues of the body. The hope is that they could be used to repair the damaged organs and tissues of patients with a relatively simple transplant procedure. ACT has filed an “investigational new drug” application with the FDA to treat a form of progressive damage to the retina of the eye called Stargardt’s macular degeneration, which destroys the central part of the retina involved in recognising faces and reading words on a page. They also intend to follow this with an application to treat age-related macular degeneration, which affects more than 500,000 people in Britain and is the most common cause of blindness. The treatment for eye disease uses stem cells to recreate a type of cell in the retina that supports the photoreceptors needed for vision. These cells form the retinal pigment epithelium – which keep the light-sensing cells of the retina alive – which are often the first to die off in macular degeneration, which in turn leads to loss of vision, he said. A single cell from a human embryo left over from IVF treatment was used in the creation of the stem cell “line” that Dr Lanza and his colleagues cultivated in the laboratory. By bathing the stem cells in a suite of chemical messengers, they were able to stimulate them to develop into fully mature retinal pigment epithelium cells. Tests on animals found that transplants of the human cells into rats with macular degeneration resulted in a “100 per cent improvement” in vision with no side-effects, Dr Lanza said. Transplants into the 12 human volunteers chosen as guinea pigs for the first clinical trial will involve giving them mild immuno-suppressant drugs to prevent tissue rejection. “We’re going to take a precautionary approach and use low-dose immuno-suppression after the operation and after six weeks we’ll taper it off. We don’t know whether we will really need it,” Dr Lanza said. He said the clinical trial could well be the first in the world because the only other company that had received a licence from the FDA had had to delay the start of its own clinical trial until the end of next year. Geron, which received its FDA licence earlier this year, has run into safety problems with experiments on animals involving the growth of cysts. It has had to provide further information to the FDA in order to satisfy nervous regulators that the new technique is as safe as possible. Meanwhile, ACT believes it has stolen a march on Geron because its own pre-clinical studies on animals have shown that its embryonic stem cells are extremely pure and safe with no signs of the cysts seen in the animals injected with the embryonic stem cells that Geron was hoping to use in patients suffering from spinal cord injuries. “They’ve been through this with Geron and the company has put out an announcement that they won’t start until the third quarter of next year, so ours may well be the first trial,” Dr Lanza said. 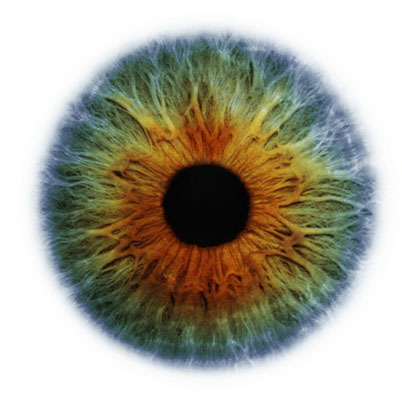 A similar proposal to treat age-related macular degeneration with embryonic stem cells is being developed by scientists in Britain led by Professor Pete Coffey of University College London, but this clinical trial is unlikely to start until early 2011. “It’s such a complex, wholly new process that nobody had done before and it has to be done properly,” he said. Dr Lanza said that extensive work had been done to ensure that the cells derived from embryonic stem cells were of high enough quality to be considered clinical grade. His company has submitted nine volumes of safety data to the FDA to address concerns over purity and the possibility that the stem cells may trigger the formation of cancerous tumours. “After years of research and political debate, we’re finally on the verge of showing the potential clinical value of embryonic stem cells. Our research clearly shows that stem cell-derived retinal cells can rescue visual function in animals that otherwise would have gone blind. “We are hopeful that the cells will be similarly efficacious in patients,” Dr Lanza added. Scientists have located the genes that make a poodle’s hair curly, and a collie’s hair long and straight. No, this wasn’t just a way to ease the boredom of laboratory work, but part of a long-term project to figure out how genes cause disease. The coats of domestic dogs vary widely — they can be long, short, straight, wavy, curly, wiry, smooth or a combination of different varieties. And that difference is exactly why cancer geneticist Elaine Ostrander decided to study dog hair. Ostrander, who works at the National Human Genome Research Institute, wanted to know how genes create all this variety. So she studied about 1,000 dogs from about 90 different breeds. She searched dog DNA the way a chef might compare recipes for souffle. What changed ingredient makes one different from the next? What mutation gives an Airedale terrier his curls and a golden retriever her tresses? What Ostrander and her team discovered was that only three genes control all the different kinds of dog hair. This also has value in studying disease. Human and dog cancers are similar, so the fact that only three genes can create so much variation in hair might provide clues to how genes cause so many cancers in dogs and humans. The research appears online Thursday in Science Express. Amazing as Usain Bolt’s new world record 100-meter victory was, his time of 9.58 seconds is nowhere near what biostatisticians such as Peter Weyand of SMU thinks is the natural limit for the human body. Experts studying the steady progression of records over the past 50 years, see the limit of the world record, with a probable error of 0.17 seconds, namely, to lie between 9.26 to 9.60 seconds. Some see 5.0 seconds a possibility. Because 6′ 5″ Usian Bolt broke the mathematical model that had fit 100-meter record data for almost a century, his incredible performance has reset the bar for how fast researchers believe humans ultimately can run. Will it be done by a 6′ 9″ or 7′ future version of Bolt? How fast will man eventually run? Will he ever run the 100 meters in five seconds flat? “Not impossible,” says one of the world’s best known authorities on physiology and biomechanics. Professor Peter Weyand, of Southern Methodist University, known for his expertise in terrestrial locomotion and human and animal performance. Weyand said that humans would soon have the ”ability to modify and greatly enhance muscle fibre strength.” This is would actually reduce the difference between the muscle properties of humans and the world’s fastest animal, the cheetah, to almost zero. Usain Bolt has now brought up the question — will man get faster and faster? And based on what Weyand says, will he one day outrun the cheetah? “Probably not,” said Weyand. “The same laws of physics apply to all runners. However, biologically speaking, speed is conferred by an ability of the limbs to hit the ground forcefully in relation to the body’s weight, an attribute conferred largely by the properties of the muscles of the runner. The fast four-legged runners or quadrupeds do seem to be advantaged versus bipeds in terms of the mechanics allowed by their anatomy. These mechanics help quadrupeds to get the most out of the muscles that they have in a way that bipedal runners probably cannot. Scientists believe man can’t run faster than 30 mph, with the best at about 27mph. A cheetah, on the other hand, reaches speeds triple that. Weyand said he expected speed to continue to improve and faster runners to emerge. Reza Noubary, a mathematician at Bloomsburg University of Pennsylvania and author of a textbook on statistics and sports, had previously calculated an “ultimate record” of 9.44 seconds for the 100 meter. Mathematicians don’t use the body’s physiology to assess human physical limits. They were merely working with data that suggested that human speed increases were decelerating and would eventually stop completely. Indeed, in some events, like the long jump, the pace of record-setting has slowed nearly to a stop. That record has only been broken twice since 1968. Despite the success of Mureika’s model, Weyand, said that mathematical models could never predict how fast humans might eventually run. Weyand, who has conducted research on the body types of the top 45 100-meter sprinters in the last 15 years, said that almost all elite runners conform to the body norms for their race length, except for the most-recent Olympic champion. That’s because muscle speed in animals is generally tied to their size. For example, rodents, being much smaller than elephants, can move their muscles much faster. The same holds true for human beings. Sprinters are short and have more fast-twitch muscle fibers, allowing them to accelerate quickly, but compromising their ability to run longer distances. Four hundred-meter runners, almost always taller, have the reverse composition of muscle fibers. Bolt, though, combines the mechanical advantages of taller men’s bodies with the fast-twitch fibers of smaller men. “We don’t really know what the best form is and maybe Bolt is redefining that and showing us we missed something,” said biomechanicist John Hutchinson of the Royal Veterinary College at the University of London, who studies how animals move. Hutchinson also agreed with Weyand that the human speed limit will remain impossible to predict with any confidence. For him, it’s the International Olympic Committee and other regulatory authorities that will determine how fast athletes will be able to run by limiting the amount of advanced biotechnologies sprinters can use. “You could see really freakish things and we probably will,” he warned. Henry Markram, Director, Project Blue Brain. Excellent news for fans of computer technology, neuroscience, and people who think that humans telling the machines what to do is totally backwards. Henry Markram, director of the Blue Brain Project, says we are ten years away from a functional artificial human brain. The Blue Brain project was launched in 2005 and aims to reverse engineer the mammalian brain from laboratory data. We reported on the attempts of the Swiss Mind Brain Institute to simulate the neocortical column of the rat last year using an IBM Blue Gene machine with 10,000 processors, and they’ve announced success of the first phase of their project. They’ve successfully simulated the neocortical column of a rat – only a fraction of a full brain, but they proved that you don’t get to do world-shattering research when you settle for second-best by choosing one of the most complicated and vital pieces of any mammalian cortex. 1. Are we going to need a court order to reboot this thing? Considering that most scientists don’t subscribe to the “magic invisible soul dust” theory of what creates human consciousness, a simulation that recreates the activity of a human brain may produce ethical concerns. Technically a computer that recreates a rat brain would raise similar issues but, as you’re about to see, these guys don’t have any sympathy for rats. 2. How do they plan to get a human model? The existing rat neocortical model is based on a huge amount of data from real working rat brains – or at least, brains that were working until the scientists got a hold of them. Where the team ran into gaps in the existing data they cracked open rat skulls, extracted the brains, sliced them into wafers while keeping them alive and recorded their responses. It isn’t known whether they cackled maniacally while screaming “They said we were fools, but we’ll show them, we’ll show them ALL!” during this procedure, because anybody who can slice a brain into strips while keeping it alive isn’t someone you want to annoy with questions. c) This is NOT a method that can be scaled up to humans without a rogue agent with nothing to lose being sent to kill you in a highly ironic manner. 3. Can we make improvements? Those involved in the project sing its praises in work to understand the human brain, but it’s only a matter of time until somebody thinks about making improvements – minus an hour at most, actually, because that’s the first thing I thought of when I read about it. With the ability to simulate the effects of rewiring, drugs or external electric fields at an individual neuron level we can investigate enhancements (such as new senses, new cognitive modes or neuroelectric interfaces) without all the inconvenient “human rights violations” and “Crimes against humanity” such research normally entails. We could improve our own minds – and since we’ll have just invented a silicon model operating at computer speeds in a bulletproof shell, we’ll have to. 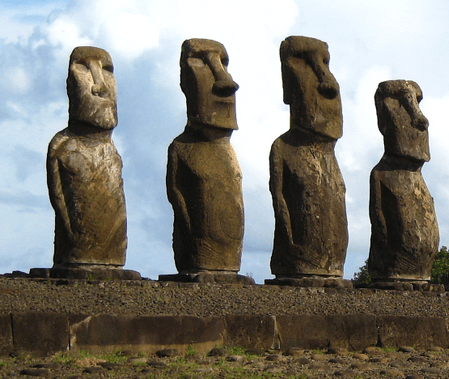 Can Easter Island Compound Extend Life? The giant monoliths of Easter Island are worn, but they have endured for centuries. New research suggests that a compound first discovered in the soil of the South Pacific island might help us stand the test of time, too. Wednesday, July 8, in the journal Nature, The University of Texas Health Science Center at San Antonio and two collaborating centers reported that the Easter Island compound – called “rapamycin” after the island’s Polynesian name, Rapa Nui – extended the expected lifespan of middle-aged mice by 28 percent to 38 percent. In human terms, this would be greater than the predicted increase in extra years of life if cancer and heart disease were both cured and prevented. The rapamycin was given to the mice at an age equivalent to 60 years old in humans. The studies are part of the National Institute on Aging (NIA) Interventions Testing Program, which seeks compounds that might help people remain active and disease-free throughout their lives. The other two centers involved are the University of Michigan at Ann Arbor and Jackson Laboratory in Bar Harbor, Maine. The Texas study was led by scientists at two institutes at the UT Health Science Center: the Institute of Biotechnology (IBT) and the Barshop Institute for Longevity and Aging Studies. Discovered in the 1970s, rapamycin was first noted for its anti-fungal properties and later was used to prevent organ rejection in transplant patients. It also is used in stents, which are implanted in patients during angioplasty to keep coronary arteries open. It is in clinical trials for the treatment of cancer. The new aging experiments found that adding rapamycin to the diet of older mice increased their lifespan. The results were the same in Texas, Michigan and Maine. “We believe this is the first convincing evidence that the aging process can be slowed and lifespan can be extended by a drug therapy starting at an advanced age,” said Randy Strong, Ph.D., who directs the NIA-funded Aging Interventions Testing Center in San Antonio. He is a professor of pharmacology at the UT Health Science Center and a senior research career scientist with the South Texas Veterans Health Care System. The findings have “interesting implications for our understanding of the aging process,” said Z. Dave Sharp, Ph.D., director of the Institute of Biotechnology and professor and chairman of the Health Science Center’s Department of Molecular Medicine. Sol, our sun, will not live forever. It has enough fuel left, if our current understanding is correct, for another 5 billion years, at which point it will die. But could it be possible for the Sun to die much sooner, within the next 100 years even? From a scientific perspective, it should be said that this is very unlikely. But, it is also true that there is a lot about the universe that we do not understand. Over the last few years astronomers have observed that there is extra “stuff” in the universe that we can see only by its gravitational influence on stars and galaxies. This stuff goes by the name of Dark Matter, and there is five times as much Dark Matter in the universe as there is normal matter, the stuff that makes up you, me, and the stars and planets we can see with our telescopes. What is this mysterious stuff? It’s possible, some scientists would say likely even, that this stuff is made of particles known as supersymmetric particles, a new and exotic form of matter that is high on the list of potential discoveries at CERN’s giant Large Hadron Collider, a 27km in circumference machine which begins operations this year after almost a decade of construction. Theoretical physicists have spent many years calculating the properties of these supersymmetric particles, and we have a reasonable theoretical understanding of how they might behave. One possibility is that they could clump together into giant balls known as Q-balls. If this is true, then these heavy and exotic objects could have been made billionths of a second after our Universe began, and still be roaming the Universe today. It is speculated that, if a Q-ball drifts into the heart of a super-dense object such as a neutron star, it could begin to eat away at it’s core like a cancer, until the star is no longer massive enough to maintain itself and explodes in a violent explosion. Such explosions, known as gamma ray bursts, are seen in the Universe, although their cause is as yet unknown. Could such a dangerous, exotic object drift into the Sun’s core and cause it to stop shining? It is likely that the Sun is many times too diffuse to stop a Q-ball – it would power right through. But maybe, just maybe, some strange exotic form of matter from the earliest times in the universe could settle deep within the Sun’s core, and disrupt its function enough to cause the catastrophic scenario seen in Sunshine. It’s far-fetched, but we have a saying in physics that anything that isn’t explicitly ruled out is therefore possible, so in the final analysis, you never quite know. It is now suspected that pollution in the Earth’s atmosphere, caused by industrialization and natural phenomena such as volcanic eruptions, may have significantly reduced that amount of sunlight reaching the Earth’s surface. It is estimated that this could have led to a cooling effect of over 1 degree overt he last 40 years, which would go some way to offsetting the effect of global warming. Global warming is caused primarily by increasing carbon dioxide levels in the atmosphere that prevent heat being radiated back out into space from the Earth’s surface. The phenomenon of global dimming may therefore have saved us, so far, from the worst affects of climate change, although it has been noticed that as pollution levels have been reduced, particularly in Western Europe, the affects of global dimming seem to be reducing, leading to an accelerating temperature rise once again. We may therefore be in the paradoxical situation that reducing pollution might INCREASE the effects of global warming, leading us ever more quickly towards catastrophe. This discovery isn’t all bad, however, because it may suggest a short term solution to climate change. Why not intentionally put pollutants, which may be designed to be benign in other respects, into the atmosphere to accelerate global dimming, and therefore slow the climate change caused by carbon dioxide emissions. Several suggestions along these lines have been made, including adding small particles to airplane fuel, and therefore using one of the main contributors to climate change, aircraft, to slow its effects. It’s an intriguing possibility, and one that is the focus of significant research, although it should be said that we cannot at present predict the effects of such fine-tuning of the climate, so global dimming shouldn’t be seen as a means to allow us to continue to increase carbon dioxide emissions. Because it’s the universe’s most abundant element, hydrogen is a good candidate for a renewable energy source. But there’s a problem: the finicky element is difficult to manage. Storing it in its pure form is a hassle that requires high pressure and low temperature, and unbinding it from paired elements used to stabilize it comes with significant secondary energy costs. Fortunately, though, there’s urine to the rescue. Botte has recently come up with a nickel-based electrode that can do just that: dip the electrode into urine, apply electrical current, and voila, hydrogen is released. While the research is still in an initial phase, it’s possible that urine could power cars, homes, and various devices in as near of a future as six months from now. Nikola Tesla (10 July 1856 – 7 January 1943) was an inventor and a mechanical and electrical engineer. Tesla was an ethnic Serb born in the village of Smiljan, Vojna Krajina, in the territory of today’s Croatia. He was a subject of the Austrian Empire by birth and later became an American citizen. He is frequently cited as one of the most important contributors to the birth of commercial electricity, a man who “shed light over the face of Earth”. He is best known for many revolutionary contributions in the field of electricity and magnetism in the late 19th and early 20th centuries. Tesla’s patents and theoretical work formed the basis of modern alternating current (AC) electric power systems, including the polyphase power distribution systems and the AC motor, with which he helped usher in the Second Industrial Revolution. After his demonstration of wireless communication (radio) in 1894 and after being the victor in the “War of Currents”, he was widely respected as one of the greatest electrical engineers who worked in America. Much of his early work pioneered modern electrical engineering and many of his discoveries were of groundbreaking importance. During this period, in the United States, Tesla’s fame rivaled that of any other inventor or scientist in history or popular culture, but due to his eccentric personality and his seemingly unbelievable and sometimes bizarre claims about possible scientific and technological developments, Tesla was ultimately ostracized and regarded as a mad scientist. Never having put much focus on his finances, Tesla died impoverished at the age of 86. Since the Nobel Prize in Physics was awarded to Marconi for radio in 1909, Thomas Edison and Tesla were mentioned as potential laureates to share the Nobel Prize of 1915 in a press dispatch, leading to one of several Nobel Prize controversies. Some sources have claimed that due to their animosity toward each other neither was given the award, despite their enormous scientific contributions, and that each sought to minimize the other one’s achievements and right to win the award, that both refused to ever accept the award if the other received it first, and that both rejected any possibility of sharing it. In the following events after the rumors, neither Tesla nor Edison won the prize (although Edison did receive one of 38 possible bids in 1915, and Tesla did receive one bid out of 38 in 1937). Earlier, Tesla alone was rumored to have been nominated for the Nobel Prize of 1912. The rumored nomination was primarily for his experiments with tuned circuits using high-voltage high-frequency resonant transformers. In 1915, Tesla filed a lawsuit against Marconi attempting, unsuccessfully, to obtain a court injunction against Marconi’s claims. After Wardenclyffe, Tesla built the Telefunken Wireless Station in Sayville, Long Island. Some of what he wanted to achieve at Wardenclyffe was accomplished with the Telefunken Wireless. In 1917, the facility was seized and torn down by the Marines, because it was suspected that it could be used by German spies. Before World War I, Tesla looked overseas for investors to fund his research. When the war started, Tesla lost the funding he was receiving from his patents in European countries. After the war ended, Tesla made predictions regarding the relevant issues of the post-World War I environment, in a printed article (20 December 1914). Tesla believed that the League of Nations was not a remedy for the times and issues. Tesla started to exhibit pronounced symptoms of obsessive-compulsive disorder in the years following. He became obsessed with the number three; he often felt compelled to walk around a block three times before entering a building, demanded a stack of three folded cloth napkins beside his plate at every meal, etc. The nature of OCD was little understood at the time and no treatments were available, so his symptoms were considered by some to be evidence of partial insanity, and this undoubtedly hurt what was left of his reputation. “ …the relativity theory, by the way, is much older than its present proponents. It was advanced over 200 years ago by my illustrious countryman Ruđer Bošković, the great philosopher, who, not withstanding other and multifold obligations, wrote a thousand volumes of excellent literature on a vast variety of subjects. Bošković dealt with relativity, including the so-called time-space continuum …’. Tesla worked on plans for a directed-energy weapon from the early 1900s until his death. In 1937, Tesla composed a treatise entitled “The Art of Projecting Concentrated Non-dispersive Energy through the Natural Media” concerning charged particle beams. Tesla published the document in an attempt to expound on the technical description of a “superweapon that would put an end to all war”. This treatise of the particle beam is currently in the Nikola Tesla Museum archive in Belgrade. It described an open ended vacuum tube with a gas jet seal that allowed particles to exit, a method of charging particles to millions of volts, and a method of creating and directing nondispersive particle streams (through electrostatic repulsion). “ [The nozzle would] send concentrated beams of particles through the free air, of such tremendous energy that they will bring down a fleet of 10,000 enemy airplanes at a distance of 200 miles from a defending nation’s border and will cause armies to drop dead in their tracks. Tesla was fluent in many languages. Along with Serbo-Croatian, he spoke seven other languages: Czech, English, French, German, Hungarian, Italian, and Latin. Tesla may have suffered from obsessive-compulsive disorder, and had many unusual quirks and phobias. He did things in threes, and was adamant about staying in a hotel room with a number divisible by three. Tesla was also noted to be physically revolted by jewelry, notably pearl earrings. He was fastidious about cleanliness and hygiene, and was by all accounts mysophobic. Tesla was obsessed with pigeons, ordering special seeds for the pigeons he fed in Central Park and even bringing some into his hotel room with him. Tesla was an animal-lover, often reflecting contentedly about a childhood cat, “The Magnificent Macak.” Tesla never married. He was celibate and claimed that his chastity was very helpful to his scientific abilities. Nonetheless there have been numerous accounts of women vying for Tesla’s affection, even some madly in love with him. Tesla, though polite, behaved rather ambivalently to these women in the romantic sense. Nevertheless, Tesla displayed the occasional cruel streak; he openly expressed his disgust for overweight people, once firing a secretary because of her weight. He was quick to criticize others’ clothing as well, on several occasions demanding a subordinate to go home and change her dress. In middle age, Tesla became very close friends with Mark Twain. They spent a lot of time together in his lab and elsewhere. He had no hobby, cared for no sort of amusement of any kind and lived in utter disregard of the most elementary rules of hygiene … His method was inefficient in the extreme, for an immense ground had to be covered to get anything at all unless blind chance intervened and, at first, I was almost a sorry witness of his doings, knowing that just a little theory and calculation would have saved him 90 percent of the labor. But he had a veritable contempt for book learning and mathematical knowledge, trusting himself entirely to his inventor’s instinct and practical American sense. Shortly before he died, Edison said that his biggest mistake had been in trying to develop direct current, rather than the vastly superior alternating current system that Tesla had put within his grasp. Tesla died of heart failure alone in room 3327 of the New Yorker Hotel, on 7 January 1943. Despite having sold his AC electricity patents, Tesla was destitute and died with significant debts. Later that year the US Supreme Court upheld Tesla’s patent number, in effect recognizing him as the inventor of radio. Immediately after Tesla’s death became known, the government’s Alien Property Custodian office took possession of his papers and property, despite his US citizenship. His safe at the hotel was also opened. At the time of his death, Tesla had been continuing his work on the teleforce weapon, or death ray, that he had unsuccessfully marketed to the US War Department. It appears that his proposed death ray was related to his research into ball lightning and plasma, and was imagined as a particle beam weapon. The US government did not find a prototype of the device in the safe. After the FBI was contacted by the War Department, his papers were declared to be top secret. The personal effects were seized on the advice of presidential advisers; J. Edgar Hoover declared the case most secret, because of the nature of Tesla’s inventions and patents. One document stated that “[he] is reported to have some 80 trunks in different places containing transcripts and plans having to do with his experiments […]”. According to John J. O’Neill, author of Prodigal Genius, the Life of Nikola Tesla, Tesla told him this story in the presence of William L. Laurence, the New York Times science writer. Tesla had been feeding pigeons for years. Among them, there was a very beautiful female white pigeon with light gray tips on its wings that seemed to follow him everywhere. A great deal of rapport developed between them. As Tesla confessed, he loved that pigeon: “Yes, I loved that pigeon, I loved her as a man loves a woman, and she loved me.” If the pigeon became ill, he would nurse her back to health and as long as she needed him and he could have her, nothing else mattered and there was purpose in his life. Tesla admitted to O’Neill that when that particular pigeon died, something went out of his life. Before that time, he could complete the most ambitious programs he could ever dream of but after the pigeon flew into the beyond, he knew his life’s work was done for good.